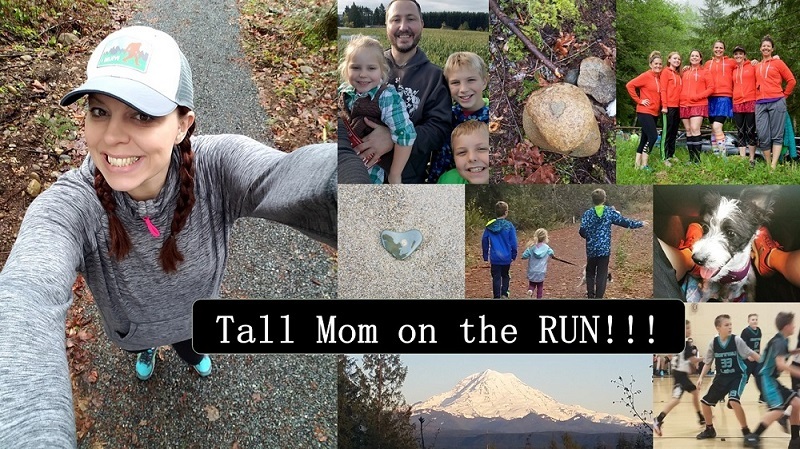 Tall Mom on the RUN: Going UP! Book worthy Running story!I think my Memorial Day Run this year was really my best run yet! IT was my first 13.1 mile run! Being a new runner I set a goal of just simply running the whole thing! I set out for my run around 9am May 31st and took it nice and easy the first mile, and then I covered up my Garmin, so pace wouldn't distract me like it has in the past! I focused on thinking about things on this run that would help me! One major thought was of a friend who lost his legs last year in Iraq. He was a runner. He just recently went above and beyond learning how to walk on two prosthetic legs! I just spent the majority of my run praying for him, admiring him, and really dedicating my run to him. I have always had issues with competition, if someone would pass me while I was running it would really get me down. I was thinking of my friend, and how often he must get passed these days, and he is walking! I was able to overcome that unnecassary evil in my head, and focus on the RUN!!! The majority of my run it was raining, actually it was pouring down rain! I learned on this run that rain isn't something to be afraid of. If you prepare with the right gear and clothing, running in the rain can be refreshing, and empowering! I loved it! Even when those speedy cars would fly by and splash a whole puddle on me, I would just think to myself... Nothing can stop me. The runner's high came at about mile 5 for some reason, and I felt it the rest of the run and the rest of my day! I have to say that was the best feeling EVER!!! I loved my run! The results were like a dream for me! I NEVER WALKED! 13.1 miles, 2 hr 25 min!!! Diana's Memorial Day Half Marathon, I took FIRST PLACE! Congrats Diana!! Send me your address or I will pass to Jill to give to you next week. Muscle Man and I had a DATE on Sunday to celebrate my birthday, the weather was so nice that dinner and a movie was not an option. We had been told about a local climb HERE just up the road, so we tested it out. WOW oh WOW, I am in Marathon shape, but climbing shape, Not-So-Much!! We still managed to pass most of the people in front of us including a VERY adventurous child around age 6, he was precious. We stopped to refuel, not sure what I am pointing at.. But we are going UP!! Loving my sweaty spouse. There is no way the Little Studs could have made the climb. A Nice old man hiker offered to take our photo. We reached the top and there was NO VIEW!!! What?? Weird. So we snacked on cheese, meat and crackers then made our way down. There was a girl who was jogging up and down.. IMPRESSIVE! This reinforced that I am far to clumsy to be a trail runner, props to those who do it, what an amazing workout!! WHAT?! I won the ONE giveaway I didn't actually eant to enter?! Too funny. :P I think I should get a free pass to win the next one. LOL, totally kidding. Love your hike pics... bummer on no view, but still sounds like a fun little adventure! what a great way to spend your bday!! i love it. I would totally be bummed if I got to the "top" and there was no view! But what a great way to celebrate a birthday! HIP HIP HOORAY!!! I was feeling the winning vibe today! Thanks Marlene for making that happen! And thank you Mel for posting my link and story!!! I am soo excited to see new friends on my blog!! And I am excited to read the book!!! IT will be soo much fun having a coach on our team for the you go girl! I want to plans some training runs with the group, and having you along will be sooo helpful! Can't wait! You can just give my book to Jill. Thanks again! Hi :) I live in Enumclaw and can actually see Mt. Peak from my front window. LOL There is a back way - more of a gravel road - that has AWESOME views! From Buckley, head toward Enumclaw. Just past the bridge over White River, turn right onto Mud Mountain Dam Road. Follow roughly 1 mile. The trailhead is a gated road (SE 481st St). Parking on the side of the road. I hope you get a chance to try it! how fun, good for you guys! you are too cute, glad you had such a great birthday. here's to many more my friend. Great date idea! Love the smoochy pic! We take lots of these to embarrass BW when he is older. Congrats to Marlene. I mean Diana! :) Glad you had a good birthday. Hikes are great any day, but very special for a birthday! Great idea. Love the pix. Hope you had a great birthday Mel! Really cute pictures!